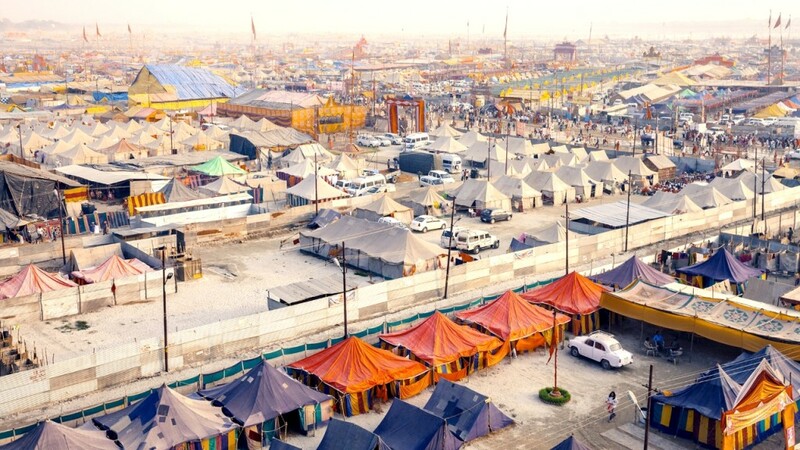 The Kumbh Festival is held at Haridwar & Allahabad every six years, and at Ujjain and Nashik every twelve years, on the banks of holy rivers. 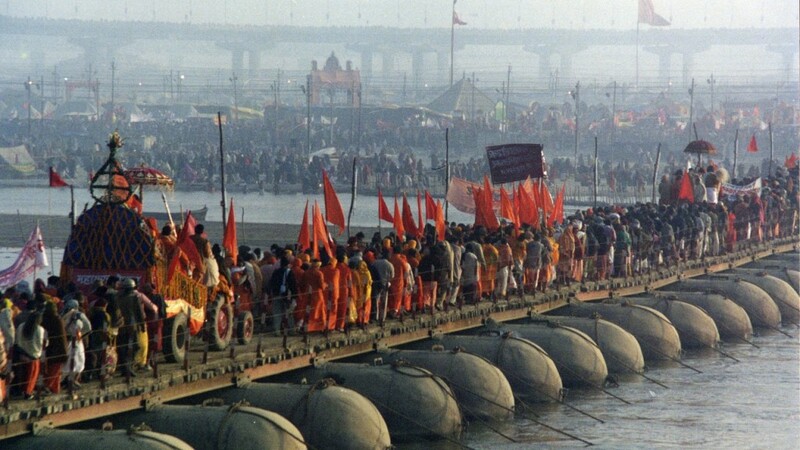 In Prayag it is held on the banks of the rivers Ganga-Yamuna and the mythical Saraswati, in Haridwar at the Ganga ,in Nashik at the Godavari, and in Ujjain at the Shipra. 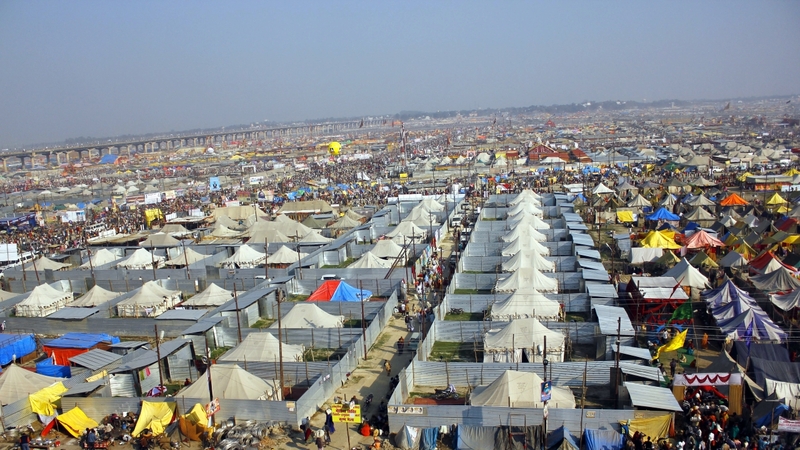 A great fair is organised on these river banks with a huge congregation of devoted pilgrims visiting the fair.